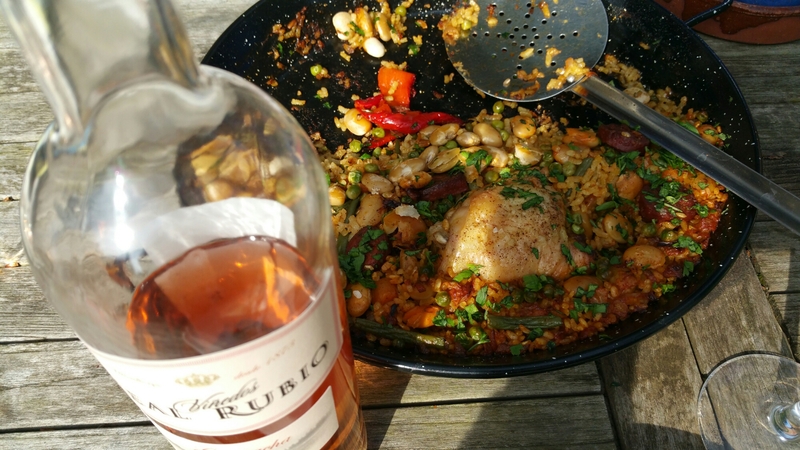 Okay, so proper paella doesn’t include chorizo. But the first recipe (Spanish book) I ever followed included it and I like it this way now. The Rioja is 100% Garnacha and is one of our favourites from Bodegas Real Rubio in Aldeanueva de Ebro. Previous Post Previous post: Arrived this morning….